There are a surprising number of ways available today to count vehicles, and it is interesting to see how the technology has progressed and the options available. 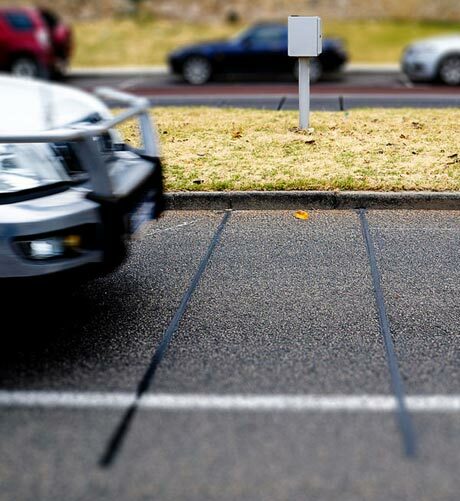 A simple but accurate method of traffic counting comprises people manually counting vehicles. A person either uses an electronic hand held counter or records data using a tally sheet. They may stand at the side of the road, or, more commonly watch a video of the road and count from that. With manual counts a small sample of data is taken - typically over less than a day - and results are extrapolated for the rest of the year or season. This vehicle counting method has several advantages over other automatic systems. It is cost-effective as it can count in many directions at once: only one camera is needed for several lanes or exits at a junction. It is easy to add or modify the zones through which vehicles are counted from an office PC. Local video analytics minimises bandwidth use. Traffic counts are uploaded in real-time via the internet, so traffic engineers can view live (down to 15 minute intervals for example) and historic counts from their web browsers. For more on video vehicle counting see the Retail Sensing site. The counts need to be physically downloaded onto a computer from the loggers at the roadside. At least one road tube is needed for each direction on every road or junction at which you want to count. Installation requires working within the traffic lane.